This Grilled Jerk Pork Tenderloin with Pineapple Salsa is a perfect combination of sweet, savory, and spicy. 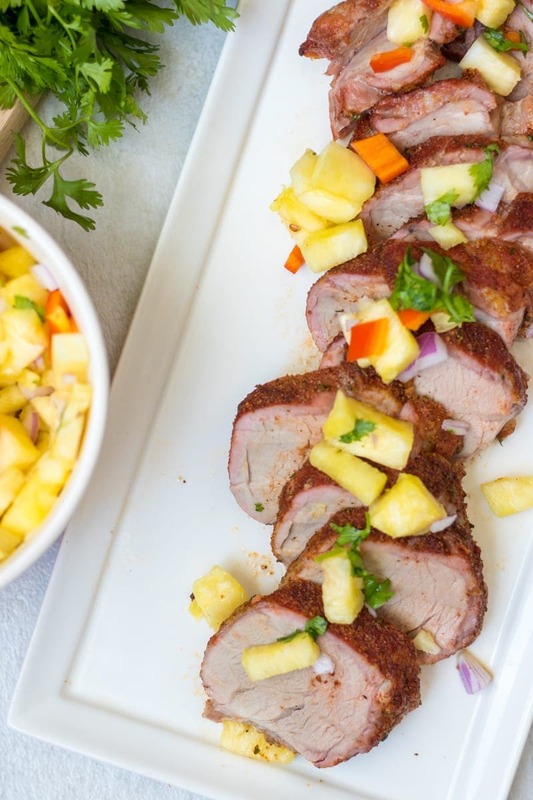 Pork Tenderloin is soaked in a spicy jerk marinade then perfectly grilled to tender perfection and finished with a fresh, sweet pineapple salsa. One of the first trips my husband took without trips was to Jamaica. 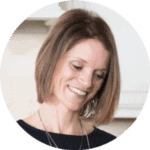 I loved everything about that trip–the resort, the pampering, sleeping through the night while my young kids were cared for by my loving parents. But I really LOVED the food. In fact, I even took a little cooking class from a local on how to make jerk marinade. You can read more about that little cooking lesson and get the authentic jerk marinade in my Jerk Chicken Kabob recipe. Jerk seasoning is filled with crazy flavor and packs a zing with the spices. And it transports me to the tropics–which, who doesn’t want to be in the tropics on a weeknight? Or any night for that matter!! Just like chicken breast, pork tenderloin is lean meat that can truly take on the flavor of anything you pair it with. And they both can dry out really quickly if not cooked properly. Cook to an internal temperature of 145 degrees. If you can remember to fully season your pork tenderloin and not overcook your tenderloin, you really can not go wrong. The first step for this grilled pork tenderloin is to make the marinade. And what better way to pack flavor into your meat than with a jerk marinade? My jerk marinade for this pork tenderloin takes a bit of a spin from the traditional jerk marinade found in my Jerk Kabobs. This marinade has pineapple juice to balance the heat and marry the pineapple salsa together with the pork. And it is as simple as dropping everything into the food processor and zapping quickly together. I like to place two small pork tenderloins in a resealable gallon size bag and then let the pork soak in the marinade. You can marinate the meat for anywhere from 4 to 18 hours to absorb all the jerk flavor. While the pork is marinating, I quickly combine freshly diced pineapple with peppers, onions, and cilantro. The pineapple salsa really is just perfect to pair with this grilled meat—-just like I do in my Jalapeno Chicken Tacos. I personally love to grill the pork–it is fast, less clean-up and I just love grilled food!! To grill your pork, heat your grill to medium-high heat. Remove your pork from the marinade and place on the grill and cover. Turn pork after 8-10 minutes. Cover and continue to grill for an additional 8-10 minutes, or until internal temperature is 140 degrees. Remove from grill and tent with foil for 10 minutes. The pork will continue to rise in temperature and should reach 145 degrees easily in that time frame. If you want to smoke your pork tenderloin, heat your smoker to 225 degrees. I like to use hickory or maple for pork. Remove pork tenderloin from marinade and place meat in the smoker and smoke till the internal temperature is 145 degrees, about 2 1/2 to 3 hours. I like to serve this grilled pork tenderloin sliced with the pineapple salsa right on top. You may also choose to pair it with Pineapple Cilantro Lime Rice as well. Feel free to freeze pork tenderloin in the marinade for up to 3 months. Let meat and marinade defrost in fridge fro 24 hours before proceeding with grilling. If you happen to get rained out, you can bake your pork tenderloin at 425 degrees for 15 minutes or until a thermometer reads 140 degrees. Let rest for 10 minutes, to reach an internal temperature of 145 degrees before slicing and serving. This grilled pork tenderloin would also be delicious served in lettuce cups, or on top of a salad. For gluten-free Jerk pork tenderloin, be sure to used gluten-free soy sauce. An easy recipe for grilled jerk pork tenderloin seasoned with a jerk marinade and topped with a fresh pineapple salsa. Place all ingredients into a food processor and process until well combined and a liquid. Place pork in marinade and refrigerate for 4-18 hours. After meat has marinated, preheat grill to medium-high. Remove pork from marinade and pour marinade into saucepan. While pork is grilling, bring marinade to a boil and simmer for 10-15 minutes to serve with pork. Place pork on the grill on cover grill. Turn pork after 8-10 minutes. Cover and continue to grill for an additional 8-10 minutes, or until internal temperature is 140 degrees. Remove pork to a resting board and lightly tent with foil. Pork will continue to cook. While pork is resting, make Pineapple Salsa by combining all the ingredients. Serve pork with pineapple salsa and cooked marinade. 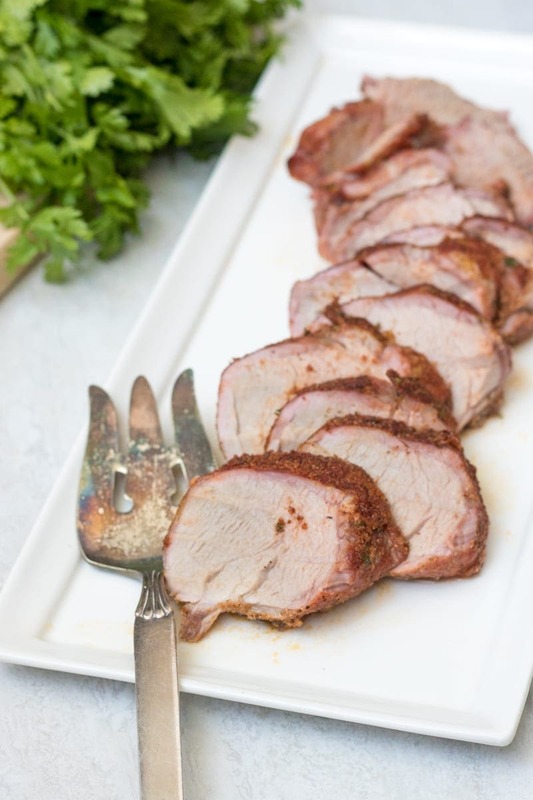 We eat so much pork tenderloin, I think this one would be a huge hit in our house! YES! It would be a HUGE hit! When I saw this on FB, I didn’t think the marinade would be so easy to pull together! Luv the pineapple juice in it, and Luv the combo of the spicy marinated pork and pineapple salsa! 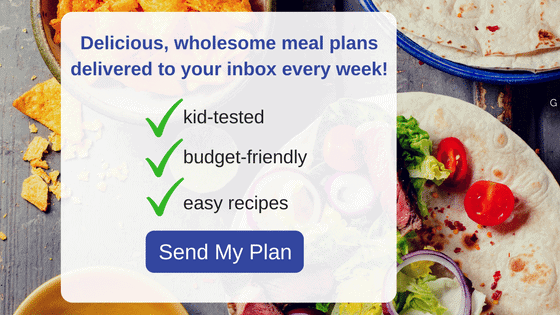 I try to keep it easy–gotta love the food processor! This is an amazing meal Kristen! Love that jerk flavor plus the pineapple salsa. Delicious pork loin! Thanks. The fruit and spice pair perfectly together! My husband loves jerk marinades. This one is awesome with the pineapple salsa! Oh you must make this for him!! I love a great jerk marinade! The pork absorbs it so well!!! 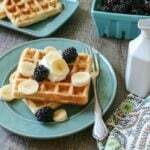 This looks delicious and I think my family would enjoy it! I’ve got a pork tenderloin in the oven right now! I wish I had “jerked” it instead! Yours looks yummy! There is always next time Cynthia! Nutmeg and allspice are two of my least favorite seasonings. What else could I substitute for those two without compromising the marinades flavor? I absolutely love how easy the marinade is to make and the pairing with the pineapple salsa.